- Gazpachito con huevo duro desmenuzado. Todo un clásico. Light, light! It is unnecesary to say that we have been rushing around all day long and taking care about what we eat, but let's talk about the dinner or better to state categorically that these are the most important to maintain or lose weight. 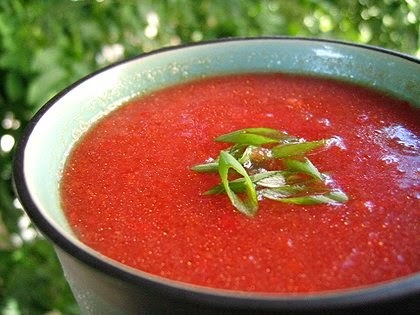 - Gazpacho with shredded egg. A classic. Light, light! Encourage. I'll be back soon!